Pyritinol (pyridoxine disulfide) represents a semi-natural nootropic substance which is synthesized from vitamin B6, or pyridoxine. First synthesis was performed in the 1960’s and since then, it has been prescribed for various neurological conditions worldwide. In many other countries, including the United States, pyritinol is available as an OTC medicine (over-the-counter), which can be bought without a prescription, functioning as a common cognitive and memory enhancer. 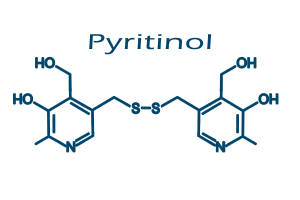 For the last fifty years, numerous studies have shown pyritinol’s effectiveness on the nervous system, representing it as successful and safe general nootropic applied to huge numbers of people. Over the course of many years, media has overinflated the negative aspects of safety of pyritinol. Although this substance has a couple of safety concerns, like any other medical substance, most of these side effects are not unusual and dangerous. It’s semi-natural origin derived from pyridoxine helps in limiting the safety concerns and to ensure any issues are minimal, increasing the effectiveness/risk ratio of this medicine. Even though it has been found half a century ago, the nootropic mechanisms are still completely unknown, with several possible methods which support the benefits of this substance. Probably the best and thoroughly explained mechanism, or method of action, is high affinity choline uptake which is similar to pramiracetam and sunifiram. A study on the animals has shown that rat brains experienced an increase in high affinity choline uptake, when researchers administered regular doses of pyritinol. This study included both young and old rat brains, where in both cases pyritinol showed a significant increase. The possible pyritinol choline uptake mechanism hasn’t been studied on human brains. Another interesting and well supported study on rats has stated that pyritinol administration for the period of 2-3 weeks ameliorated acetylcholine levels. A similar, yet different study, has shown that pyritinol metabolites affected the release of acetylcholine, by indirectly acting on this neurotransmitter levels. The benefits of this nootropic supplement are numerous and over the course of many years, it has been proven on both young and old people, enhancing their cognitive capabilities. Probably the most significant effect could be seen in elderly people, because of the declination in cholinergic activity which develops with age, resulting in different health conditions, such is Alzheimer’s disease. It’s nootropic activity, which declared the substance as OTC medicine, is the most evident which makes it desirable among younger people, especially students. One small study did find an improvement in reaction time, but not memory. Pyritinol’s nootropic effects include increased learning, improved memory and problem-solving skills, enhanced sensory perception and a decrease in tiredness. The benefits improve with the higher doses, yet its safety concerns suggest that higher doses shouldn’t be used in this indication. The higher the dosage, the higher the chances that negative side effects could occur, resulting in its toxicity, so it is advised to be moderate when using pyritinol. It is approved for the symptomatic treatment of chronically impaired brain function in dementia syndromes and for supportive treatment of sequelae of craniocerebral trauma in various European countries, including Austria, Germany, France, Italy, Portugal, and Greece. In France it is also approved for rheumatoid arthritis as a disease modifying drug, on the basis of the results of clinical trials. In most other countries it is either sold as an over the counter (OTC) drug or has distribution legally limited. As mentioned, media has belied the story about pyritinol, representing it as unsafe drug. The fact that is is an over-the-counter medicine, which proves the safety, overthrows the false information. This medicine has an astonishing safety record, administered for over a couple of decades by thousands and thousands of people. 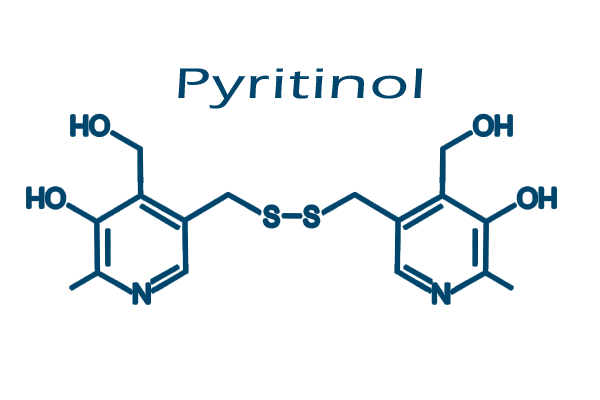 Even with the presented evidence, pyritinol still has some safety issues, similar to other medicine widely used by the population all over the world. A conversation with a qualified medical professional, such is doctor or pharmacist, is essential before the use of this medicine. The concerning serious side effects which have been present in couple of cases were connected to immune system response. This case of pancreatitis was present at regular doses which means that immune system has overreacted, bringing the organism to a rare and uncommon inflamation. The other rare case included hepatotoxicity, related to cholestasis, believed to be a side effect of the mentioned nootropic. This case is also related to genetic predisposition present at a smaller percentage of population. With the upcoming methods of genetical biomedicine, these rare cases are going to be discovered early, resulting in the decrease of these rare, yet strange cases. Common side effects, on the other hand, are not dangerous and life threatening. These include headache, most likely linked to its cholinergic mechanism, then gastrointestinal discomfort, insomnia, nausea. Even rare side effect is a skin problem, such as dermatitis. It is usually combined with other nootropics, to decrease the side effects and increase the effect available thanks to different nootropic mechanisms of medicine. It works synergistically when applied with similar cholinergic drugs, like choline and acetylcholine supplements and racetams. Another synergetic proposal is the combinasion of pyritinol with sulbutiamine, but there isn’t a direct evidence of their conjoined potential. The substance is not recommended to pregnant women or those who are breasfeeding their newborns. It is important to be introduced to safety warnings, including the consultation with pharmacist or a doctor, before its use.